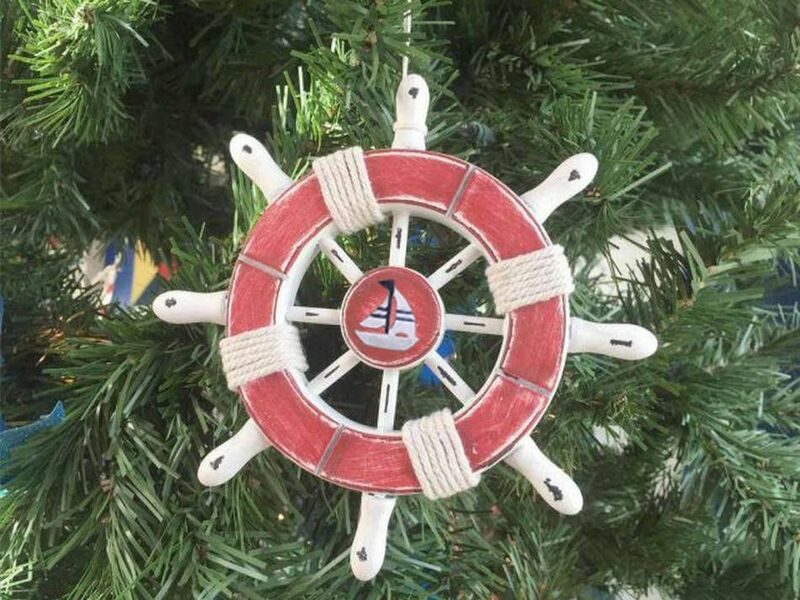 Rustic Red and White Decorative Ship Wheel With Sailboat Christmas Tree Ornament 6"
This Rustic Red and White Decorative Ship Wheel With Sailboat Christmas Tree Ornament 6" is perfectly combined with the warmth of the holiday season and the nautical lifestyle. This ship wheel ornament decoration will light up any tree and adds the final nautical touch your Christmas needs. This charming steering wheel ornament has eight spokes and can be easily hung onto any Christmas Tree.